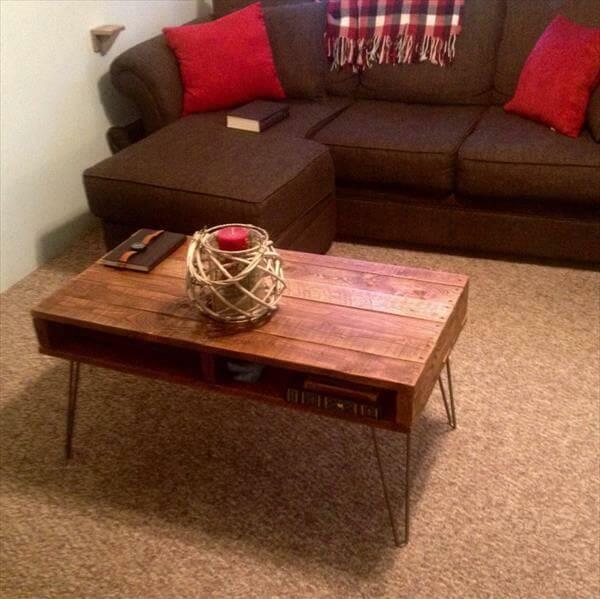 Industrial and manufactured pieces of furniture can be pricey while customizing your home or a newly built room. If you don’t want your money just to be wasted on those heavy furniture expenditures then use pallets for getting adorable home furniture, which are the cheap, feasible and reachable source of sturdy wood. 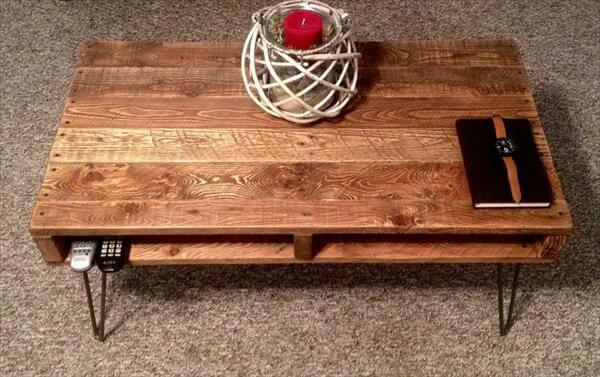 This reclaimed pallet coffee table is just a tremendous piece of furniture and will be a good friend of your newly built living room. 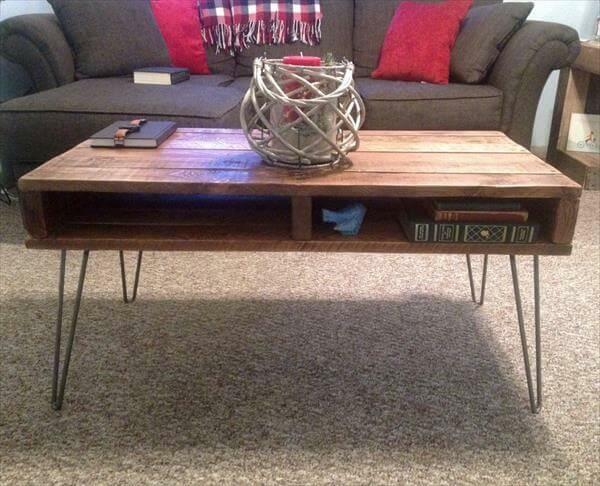 This coffee table features sturdy hairpin metal legs and some opening that will serve as storage units to hold your books, magazines and whatever you want. By going more wisely, you can also turn it into an amazing demonstration of DIY pallet TV stand and storage places can be filled with your media like Blue-ray player, video games and other media concerns of this kind. 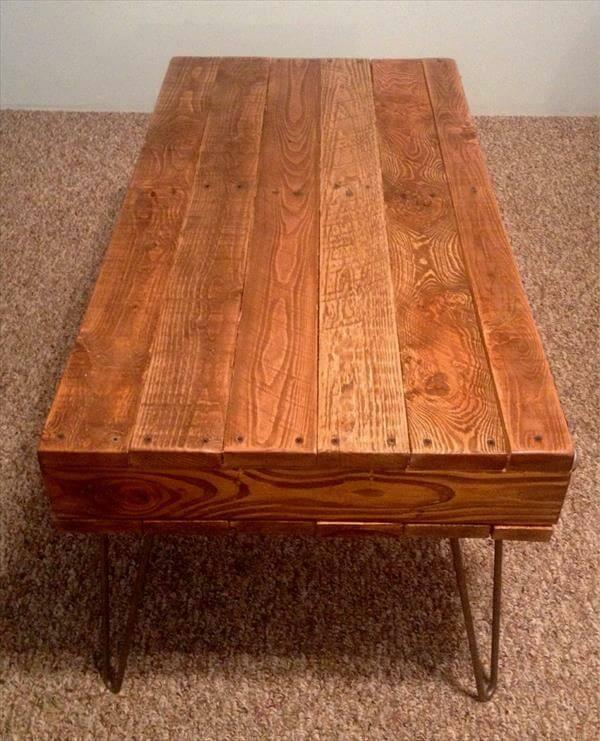 This DIY pallet industrial table has been left blank in rich natural wood colors shade for a rustic and antique appeal but you can prefer paint or stain to get the most personal theme and hue.